For months I have had day excursions planned for September. This weekend is the Garlic Festival in Bennington. 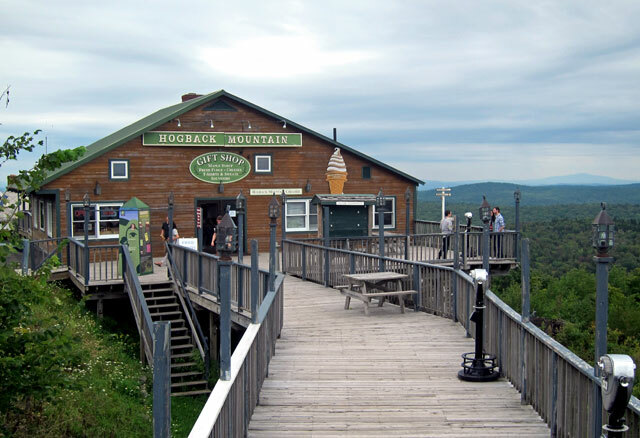 Years ago, Cathy and I visited when it was still in Wilmington, Vermont. That was the plan for the first, and BLUE BELLE and I headed off a tad before 9AM – first stop the Antique Flea Market in Wilmington at the junction of Route 100 South and Route 9. 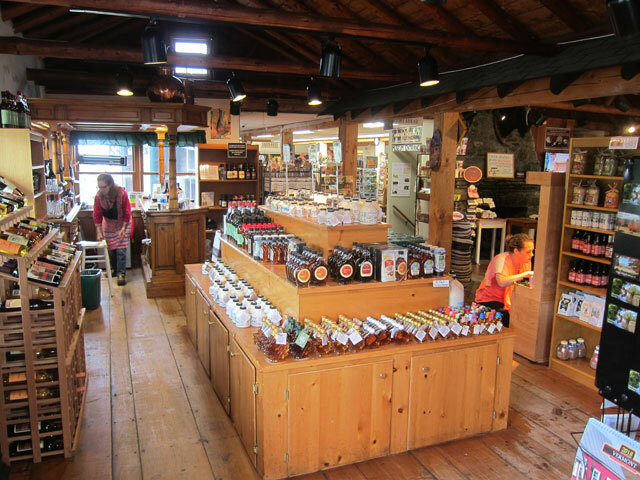 (Last, and first, time I was at this flea market, I purchased and packed in BLACK BEAUTY four banana boxes of books – and had great explorations) I could hardly stand when I got out of BB2 – good thing she did not carry me to the Lakes area days ago. First time hips did it to me this way – getting close to time. I started thinking, “not going to do a big walking field in Bennington.” I returned to BB2 about 11, and studied the map for alternative ideas. On the way out I had seen a sign on Route 9 to South Newfane taking me on a dirt road I did not know. That became the plan, but first a complete tour around Harriman Reservoir. The map below of today’s route can be enlarged by a click. I had never been on the section of Route 8 from the point Route 100 heads south. 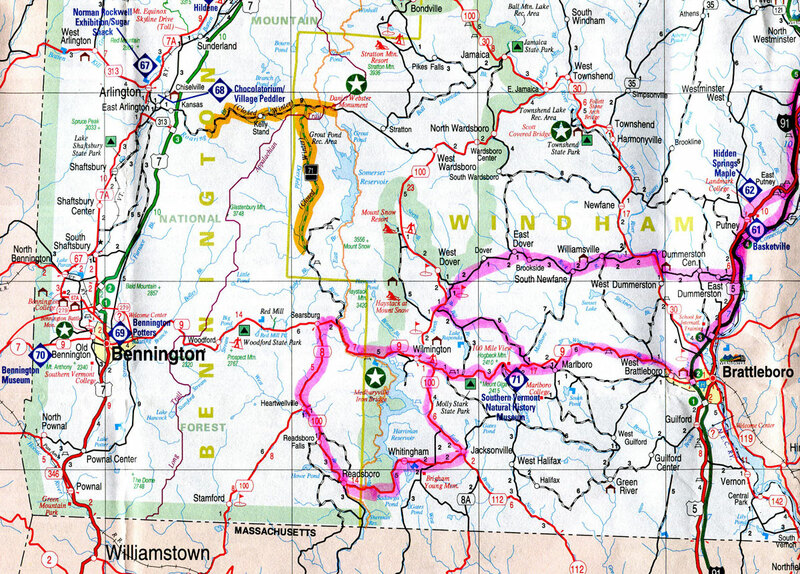 You think of Route 100 as a truly north/south route – the back bone and spine of Vermont – but note the circuitous route below Route 9. I now, looking at the map, realize why – the reservoir impacted a more direct route. I stopped in Whitingham this time though to share its importance with you (click here for my last visit). 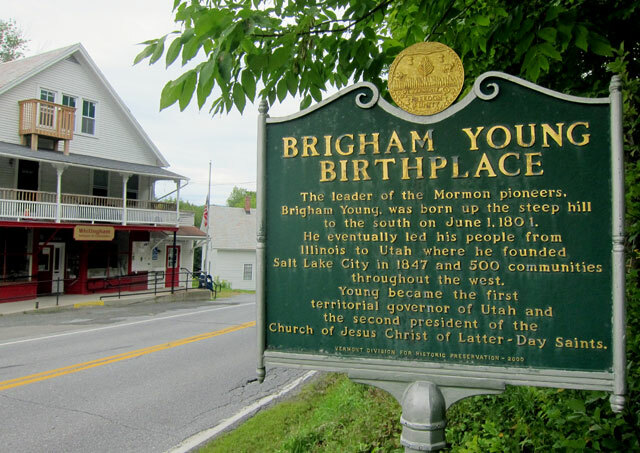 Brigham Young was born here in 1801 (click on the image if you wish to read the details on the sign). Also, you know I love original general stores, and sadly this one is vacant with the post office expanding into it some in a crude construction manner. 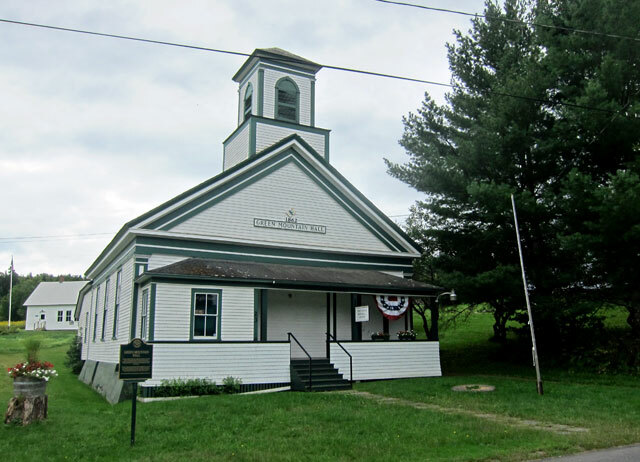 The building you can see over BB2’s bonnet is Green Mountain Hall, built in 1861 as a Universalist Church. The church disbanding the end of the 19th century, the building became the Green Mountain Club, and when that association disbanded in 1909, they turned ownership to the town. 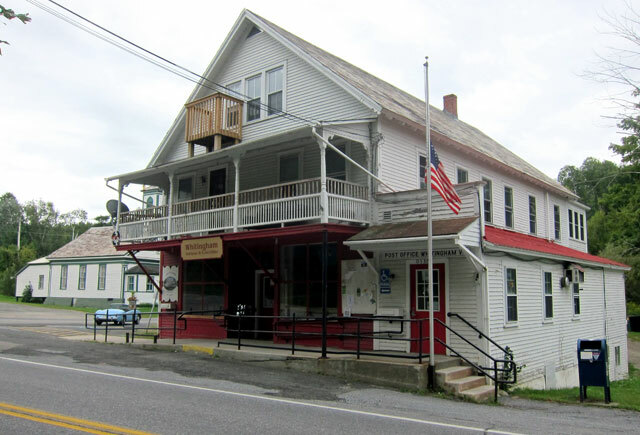 Used for Town Meetings, plays, dances, in 1973 the building was leased to the Whitingham Historical Society. Heading further west on Route 100 South, next is Readsboro. Last time through I stopped at a bazaar and had lunch. Most of the old storefronts that trip were vacant – now all are vacant. Too bad, interesting architecture, and I hope it can be saved and revitalized. 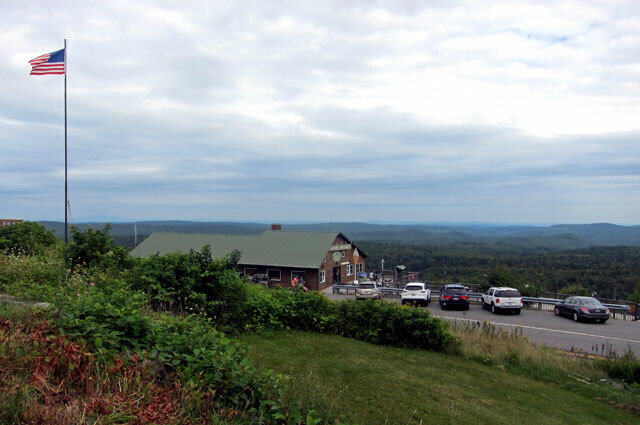 And, I went to take in the gift shop with the 100-mile view to the south. it wasn’t bad – touristy – but you need that sometimes. and, I saw a small sign at a staircase going down. Not something I usually take in, but heck only $3 (yes, I am a tad over 60), I am here, and I may learn something. Boy, did I learn lots. 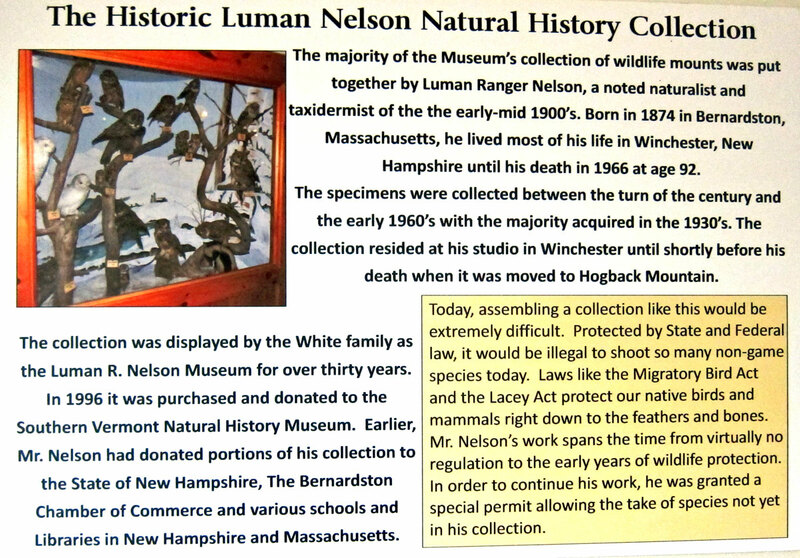 RAY RECOMMENDS — Less than 45 minutes away – visit the Southern Vermont Natural History Museum, at least visit their website. Take your child, grandchild, arrange a school visit. Check their website for all they have to offer. Share this information. Did you get my subtle hint? Coyote – most animals and birds mounted in cases, typical of time when done. 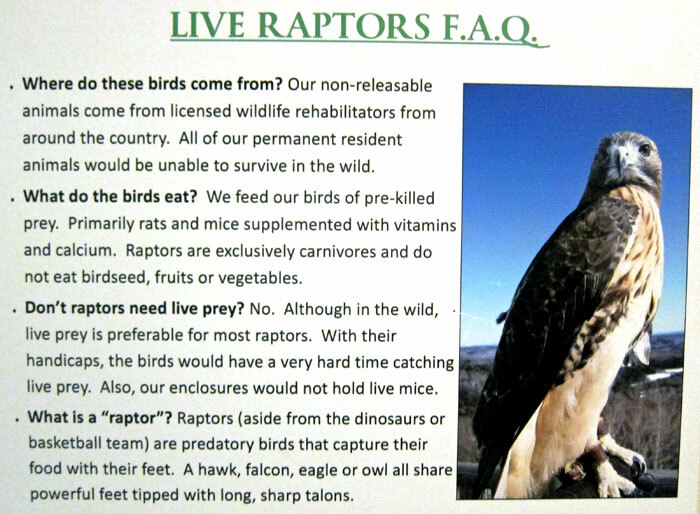 Now I know what a Raptor is — should be the first bullet in this sign. And, if you wish to learn about Chestnut Trees, click on these. Something to remember is that a chain of animals can depend on a tree, plant or environment. And the loss of Chestnut trees had a ripple effect on many species. Here is something else I bet you did not know (again you can click to enlarge). The museum is beginning a campaign to build a new facility – check their website. You may wish to visit here soon, or think about helping them in their capital drive. I may help spread the word in THE WALPOLE CLARION as I did last year with Santa’s Land – ending up with almost 3,000 “hits” on “shunpiking” in one day as a result. After almost an hour enjoying the museum – surprising myself – I exited, and decided to cross the road to see the old brewery building higher up. It was past 2:30, and when I saw Andrzej’s Polish Kitchen, I thought, “perfect, nothing else within miles, particularly on planned dirt route heading home. 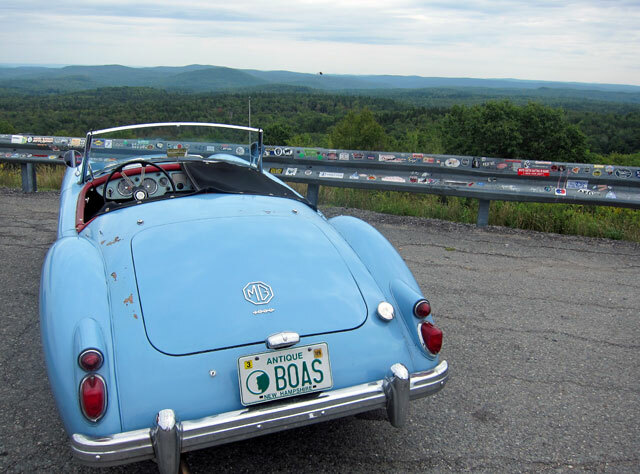 and the view poor BLUE BELLE had to endure during my wonderful visit on Hogback Mountain. The guardrail is plastered with stickers from all over. Continuing east on Route 9, I found my turn, but if you look at the map you can see I missed (probably not marked) the right turn dirt road that would have taken me directly to South Newfane (which you should visit). When I found myself on Route 100 again, I figured what I did wrong, went north a tad, turned right and crossed to Route 30, down to the covered bridge, over East West Road to US Route 5 and home. Close to 5 PM, I stopped at a relatively new vintage clothing and antiques store. Stretch legs if nothing else. Great fashion, some booths with interesting items and terrible books, then – STOP – a top shelf with $2 books – and some 1930s and 194os mysteries in dust jacket. I took a chance and bought eight – researching when home (darn I am good at what I do), I just finished cataloguing them at $500. 4) on the way back on #9, 3 miles east of the center of Wilmington, don’t miss the Art of Humor Gallery near the flea market you mentioned. Watch for the sign for the Gallery. Address is #30 Not-a-Road road!). It is an amazing house and grounds where the humor of internationally known humorist and cartoonist, Skip Morrow, is on display and available for purchase. I promise you a lot of laughs. 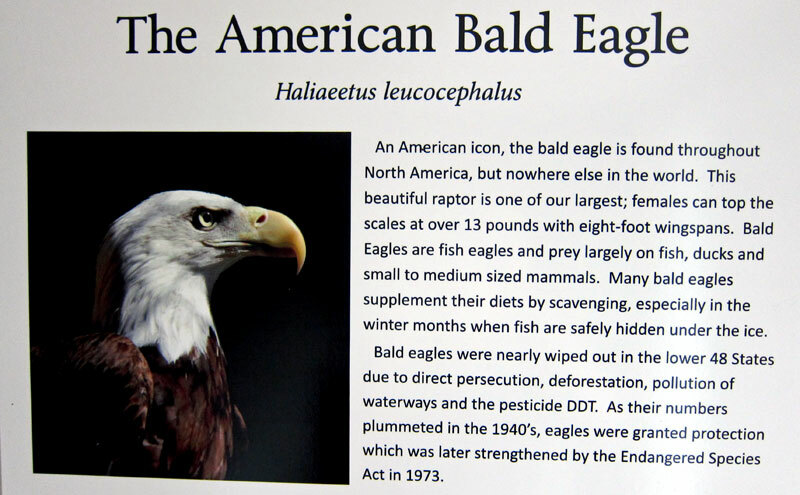 This entry was posted in Day (or maybe two) Trips and tagged Andrzej's Polish Kitchen, Hogback Mountain, Marlboro, Molly Stark Byway, Southern Vermont Natural History Museum, Vermont, VT, Whitingham. Bookmark the permalink. So many places to visit and so little time! Thanks for your tour guide! Next time you’re headed east on Rte. 9 toward Brattleboro take a left on the Auger Hole road which ends up in South Newfane. This will take you, mostly on dirt, past Olallie Day Lilly Farm https://www.daylilygarden.com I’ve never much cared for ’em, however Ollalie is a wonderful site to roam, and while of course they’d like to sell you something, they don’t much seem to care if you don’t. Of course You can also get there from Walpole by going down Vt. Rte 5 and taking the School House road in Dummerston, straight thru the stop sign at the top of the mountain and down the East West road, making a right after you’ve crossed over the Covered Bridge, onto Rte. 30. In a couple of miles make a left onto the Rock River road which goes thru Williamsville (make a left after you’ve crossed the concrete bridge) , and over another covered bridge to So. Newfane. Thank you, Virgil, for the tips. Of course, I came through Williamstown on way home cutting to Route 30. Always enjoy, and have posted about, that Covered Bridge. 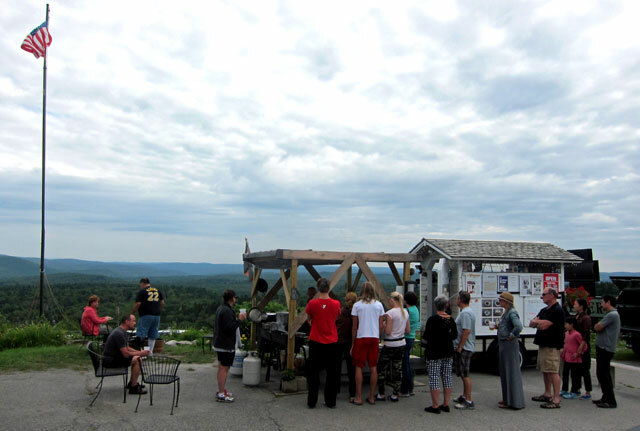 Forgot to mention that a week ago Saturday I took Putney Mountain Road for the first time. BLUE BELLE choose to stay in second gear all the way down from the Trailhead at the Forest. Great shortcut (ha, ha) to Route 30. Too much fun. Catch you soon. Great trip advisory, Ray. You rock!! I’m impressed. Long time since I’ve seen a highlighted real paper map. Much preferable to a little GPS map on a phone. Enjoying your trip summaries as a way to relive my weekend jaunts as a teenager a few year ago. Finally got to read about your day trip. Traveled RT 9 many times years past, when I worked in Colonie, NY filling in summer vacations. Spent many days camping at Molly Stark State Park, near Wilmington. Sorry to say never visited the Museum but thanks to you I have partially visited. Another great adventure you have shared. Bill M.